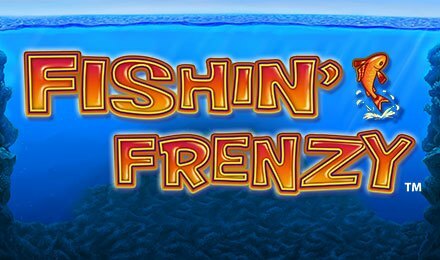 Fishin’ Frenzy slot takes you to a relaxing destination, where you get to come across some of the most exciting experiences when it comes to the sport of fishing. This game is perfect for slot lovers and also fishing enthusiasts, as you get to enjoy a combination of one of the most relaxing hobbies or sports, while you trigger wins! On the reels of this slot, come across symbols like: Fishing Rods, Pelicans, Fishing Rods, Bait, Lifebuoy, Blue Fish, A, K, J, Q and 10. Enjoy Fishin’ Frenzy slot by first setting your stakes using the Change Bet button. With the Change Lines option, select the amount of paylines you would like active in your gameplay. When you’re done, click the Start button to kick off your game. Amount of Paylines Selection: Choose from 1 to 10 paylines to put to play. The wild of Fishin Frenzy slot takes form of the Fisherman who replaces all other symbols except the scatter to help form winning combinations. The scatter symbol is the Fishing Boat, which triggers the bonus round of the game. To trigger the free spins feature, line up three, four or five scatter symbols anywhere on the reels and receive 10, 15 or 20 free spins to put to play correspondingly. While the feature is in play, the Fisherman appears in sync with fish. He then catches them and awards instant cash prizes. All prizes are in vary according to the size of the fish.